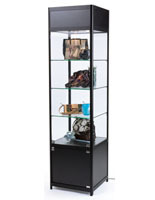 This locking glass storage tower features a sturdy aluminum frame with black finish and matching melamine laminate wall panels. 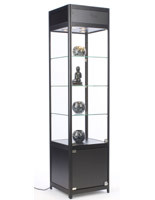 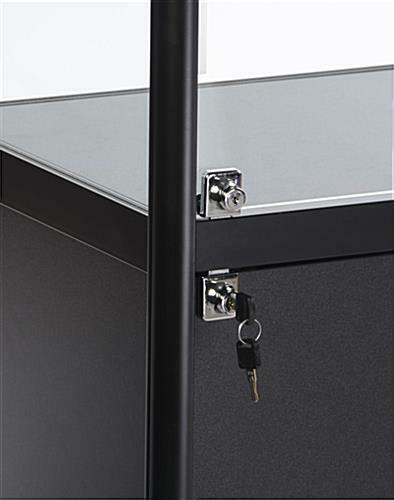 Each display case features secure locks on both the base storage drawer and hinged access door. The full vision glass storage tower is ideal for retail or commercial environments because it combines high visibility with security for both contents and stored items. 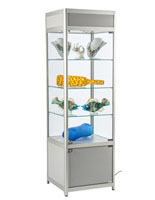 This type of showcase is designed to allow customers a 360° view of merchandise or displays. 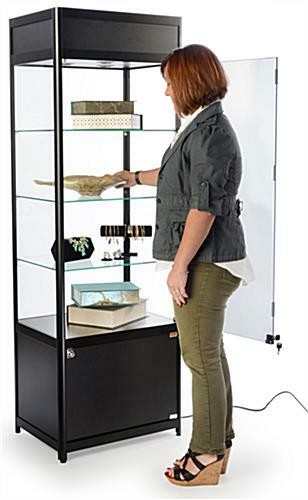 The economical storage tower is designed for DIY assembly and ships knocked-down for maximum savings. 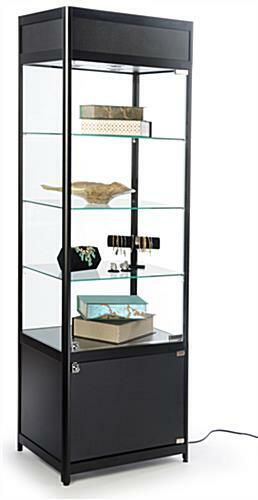 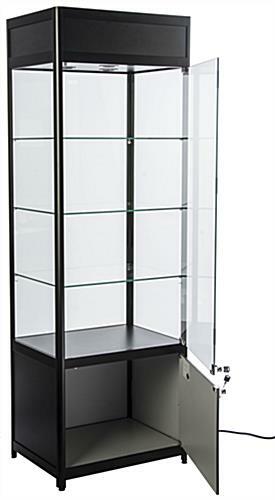 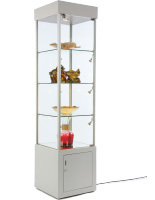 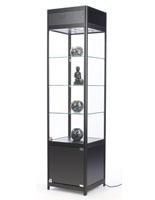 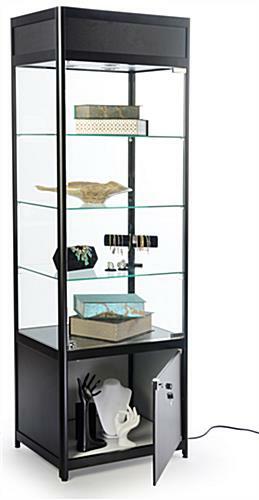 The easy-to-assemble glass showcase is an attractive fixture that will complement any environment. 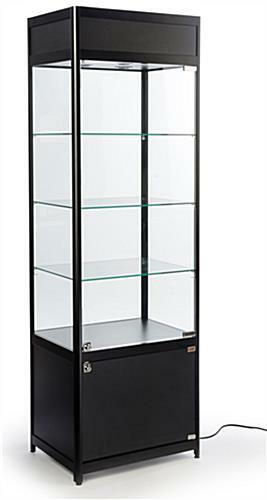 Please note: This video demonstrates basic assembly of all SCT Display Cases. 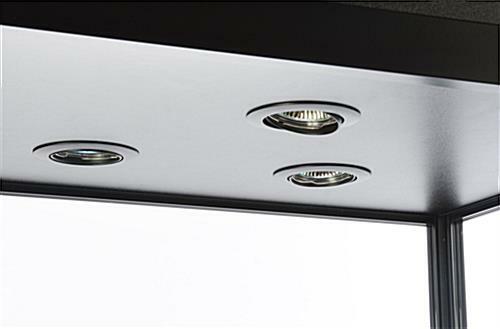 Though the model purchased may be different than what is shown, the assembly process remains the same. 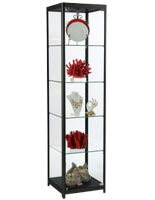 22.8" x 56.0" x 16.9"